Developing this Photo WordPress Theme, we tried to fulfill the very first need of any photographer or blogger – flexible and user friendly design that can be easily transformed according to your taste. Oyster with its elegant layout and unique capabilities is exactly what you’ve been looking for a long time. 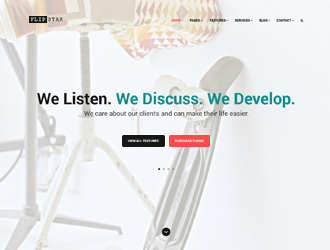 Without exaggeration, this theme will become the thought-out solution for your web project. The main concept of the Oyster WordPress Theme is to emphasis the content in the best way, including a great variety of images, videos and posts. That’s why its structure is simple, style is minimal and background is soft gray. At the Home page you can see Masonry portfolio with images and different viewing options, so you can choose which frame is more appropriate for your web project. There are Masonry style, horizontal or vertical striped, Revolution slider, fullscreen image, vimeo or youtube background. To underline the great flexibility and scalability of this WordPress theme, we also provide you with fully customizable Gallery, Portfolio and Blog pages. For your convenience, Oyster Theme has double menu: the main menu and additional, so you can divide your artworks into several categories, for example, Advertisement, Cities, Fashion, Nature, Portrait and Stuff. In such a way that your visitors can browse the particular photos on the selected topic or choose just to look through all of them. Moreover, we include additional pages, such as About, Before/After, Coming Soon and 404 Error page for better website performance. 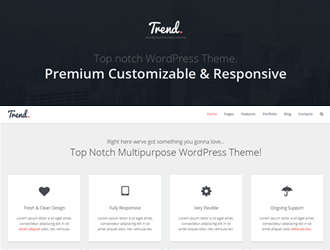 Theme Options panel allows you to modify Oyster to your needs by editing logo, favicon, header slogan, sidebars, fonts, socials, contacts, view and color options. But it is better than any words just to check the Live demo and see this awesome theme in action. Take it into service and start your own professional website in a matter of clicks! how easy does it be to create a submenu in the topline/mainmenu? How does be make to create? Please submit a support ticket via your personal gt3themes account and we will assist you. I am creating a portfolio site for a client. I want to import all his photos (over 400) – if I have to do this manaually as seperate posts it will take me forever. I have used Bridge ti input all the meta data. How do I load lots of images at once? To better assist you, the customer has to submit a support ticket via a personal gt3themes account. We provide dedicated support.